Complete Menu For Custom Made Chalkboards - Framed Or Unframed. Upgrade to Magnetic Blackboard - 6 x 6 inches To 5 x 16 Feet. Choose Frame Color, Style And Price. 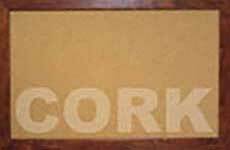 Complete Menu - Custom Cork Bulletin Boards. 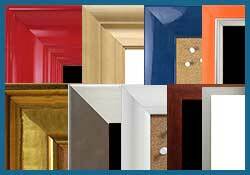 Framed Or Custom Cut Material. 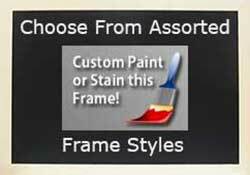 Personalize frame color, style, size. Add Fabric Wrap. 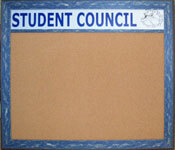 Complete Menu For Custom Dry Erase Boards Framed Or Frameless - Magnetic Dry Erase Boards - Any Size 6 x 6" To 5 x 16 Feet. Choose Frame Color, Style. 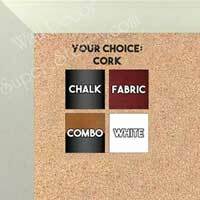 Personalized combination boards - Use This Complete Menu To Combine Chalkboard, Dry Erase, Cork or Fabric Wrapped Cork - in any size. Select Frame Styles Here. Custom Cut To Your Size. Pure Grain Natural Self-Healing Cork - Magnetic And Non Magnetic Chalkboard - Dry Erase Board Material. 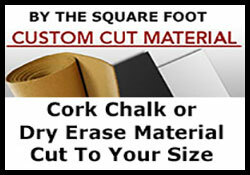 Your Choice - Chalkboard - Cork - Dry Erase Board With A Classic Aluminum Frame - Any Size Up To 48 x 96 Inches. Larger Sizes Available On Request. Chalkboards, Cork Boards and Dry Erase Boards for every budget. 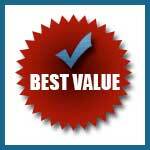 Value Price - medium price and higher priced wallboards. Shop by price and then find a style and color to fit your home or office decor. 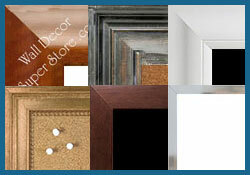 Choose a very narrow to very wide frame for your cork board chalkboard or dry erase board. 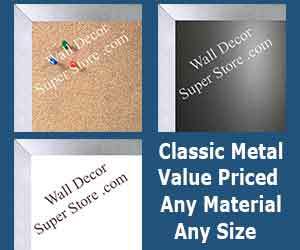 Shop wallboard frames under 1 inch to over 2.5 Inches. Dry Erase Boards, Chalkboards And Cork Boards To Fit Your Space. 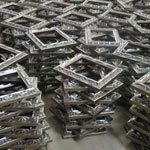 Shop By Outside Frame Size - 6 x 6 inches To 52 x 98 Inches. Special Order Up To 5 feet x 16 feet. The style of a frame helps complete the decor. 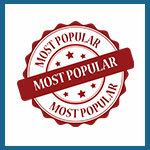 Shop styles that are Distressed, Contemporary, Ornate, Tropical, Traditional, High Gloss, Decorative, Industrial - More. Shop chalkboards, cork boards and dry erase boards by the color of frame. View Metallic, Black, White, Espresso, Wood Finish, Colorful Unfinished And Much More. 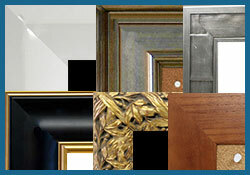 Cork, Dry Erase Or Chalk - When an exact color match is required we offer a large selection of unfinished frames. DIY Paint Or Stain with the color of your choice. Shop bright and colorful or traditional satin aluminum frames to make a chalkboard, cork board or dry erase board of any size up to 4 x 8 feet. Selected aluminum frames can make wallboards as large as 5 feet x 16 feet. Shop chalkboards, dry erase boards and cork boards for Office - School - Home. Clean professional look - hundreds of options, wood, metallic, value price and more. 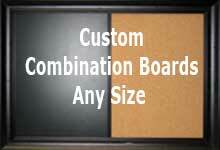 Build a custom chalkboard, dry erase board, cork board or combination board in your choice of size, style and color. Scroll thru hundreds of choices to find the right option for your home or office. 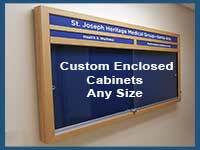 Custom Enclosed Cork, Chalk or Dry Erase Cabinets. Need a special size - no problem. Choose sliding door or opening door design. Personalize with your name or logo. Beautiful fabric wrapped frameless cork bulletin boards. Choose from over 50 colors. 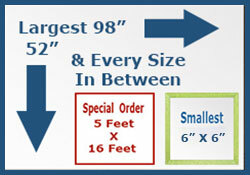 Create any size from 12 x12 inches to 60 x 144 inches. Combine to make very long fabric walls. Special fabric does not show pin holes and can use Velcro.